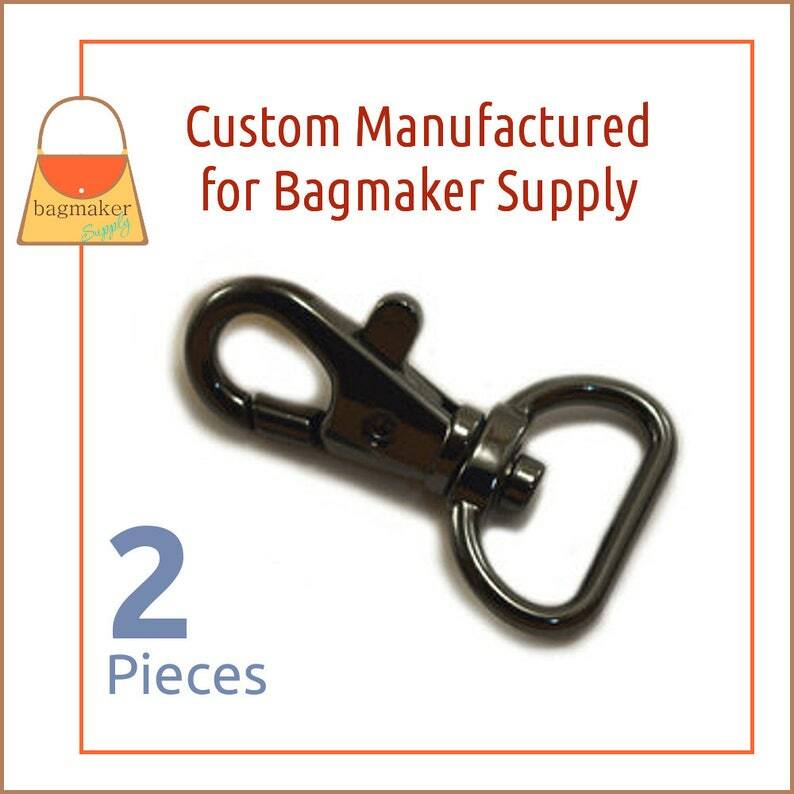 These are such nice little swivel snap hooks (purse clips.) We had these manufactured to our specifications. We wanted something a bit smaller than other 3/4" trigger hooks, but nice and substantial. They have a 3/4" (20 mm) strap opening. The outside measurements are 15/16" wide at the strap end, 1/2" wide at the hook end, and 1-5/8" long. 2 piece package, shiny black nickel / gun metal metal finish. Super high quality in a hard to find style! Great all around! Great quality as always. Thanks.